CBSE 12th Economics Paper 2019: Download PDF, Watch Live Video! Download CBSE 12th Economics Paper 2019 in PDF format. Link to download the complete CBSE 12th Economics Board Exam 2019 question paper is given after the screenshot of paper. 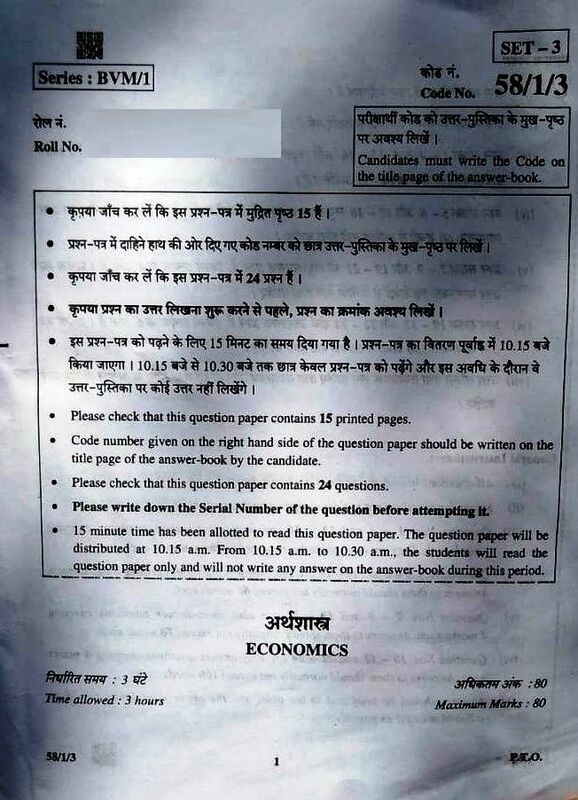 CBSE 12th Economics paper was held on 27 March 2019 from 10.30 A.M. to 1.30 P.M. Students appeared for this exam shared their feedback about the difficulty level of the Economics question paper. You can watch live YouTube video on CBSE Class 12 Economics Paper 2019 (streamed live from a CBSE examination center on 27 March 2019).